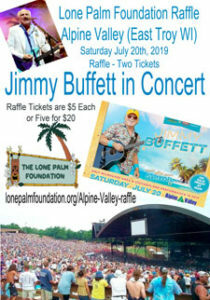 Lone Palm is bringing you a chance to experience one of the greatest Buffett concert venues: Alpine Valley in East Troy, Wisconsin, on July 20. Remember, the deadline to purchase your raffle tickets is June 15. We’ll see you at Alpine!